The Government of Guyana has issued a call to Venezuela to immediately withdraw its unilateral decree and cease the use of all threats of military force. “Venezuela must stop using threats of military force against unarmed civilian vessels duly licensed by Guyana, to engage in offshore exploratory activities in the Stabroek Block,” Min. Greenidge told the 112th Sitting of the National Assembly. In the Parliament this afternoon, Minister of Foreign Affairs, Carl Greenidge, urged the Venezuelan government to also present itself to the International Court of Justice (ICJ) and commit to accept the court’s judgment on the validity of the 1899 arbitral award and the location of the land boundary, when that judgement is made. 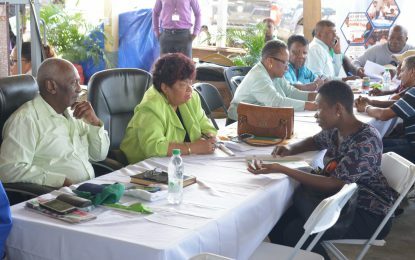 Minister Greenidge in the meantime said Guyana continues to enjoy the support from the international community and Caribbean nations on this matter. “Furthermore, the Ministry of Foreign Affairs of Guyana informed the Secretary-General of the United Nations of the incident and requested that the matter be placed on the agenda of the United Nations General Assembly and Security Council,” Minister Greenidge stated. He added that Venezuela’s claim to the waters lying along Guyana’s coast has, until now, been based on supposed and fictional historic ‘ownership’ of the Essequibo and therefore of its coast, however, that land territory, one of the three counties of Guyana has been part of Guyana since 1648. “Venezuela’s most recent statements make mention, not of ownership of the Essequibo coast but refer to a ‘direct projection of the Orinoco Delta’ to a link between that Delta and the Continental Shelf well to the east off of the Delta. 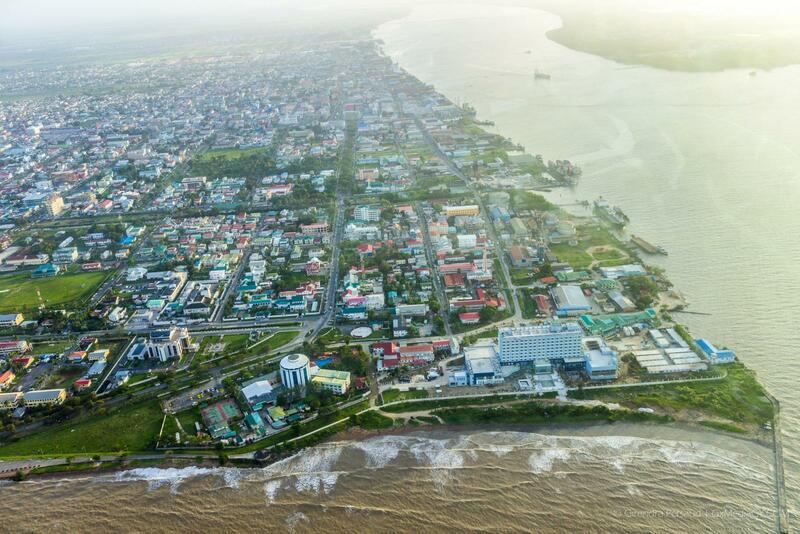 This mysterious veering to the east just coincidentally encompasses all the hydrocarbon reserves on the sea beds of Guyana,” said Minister Greenidge. Approximately two weeks ago, a Norwegian oil-exploration ship contracted by ExxonMobil was forced to suspend operations off the coast of Guyana after it was approached by a Venezuelan navy vessel. While the Venezuelan navy did not board the ship, the vessel, which was conducting seismic testing in Guyanese waters 90 miles from the internationally recognized border, was forced to sail to safer waters.